Chynara Arapova is a land reform and land market expert with nearly 25 years of experience supporting and leading land reform, privatization, and economic development projects in Central Asia. 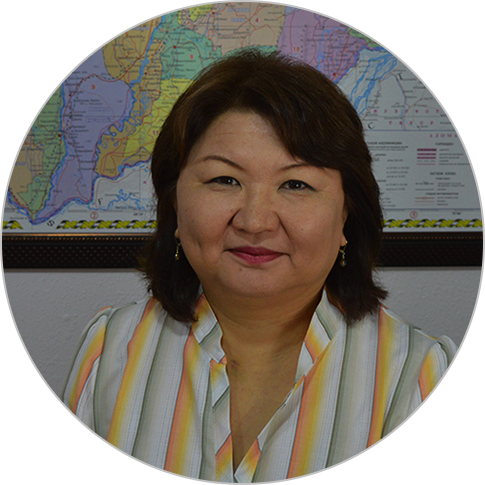 Currently the chief of party for the Feed the Future Tajikistan Land Market Development Activity, she has 10 years of experience as chief of party for USAID-funded programs in Tajikistan and Kyrgyzstan. Ms. Arapova has expertise engaging with government officials, the private sector, media, and civil society to execute public education campaigns, design and implement policy change, and advance legislative reform. In addition, she is skilled at integrating gender and social inclusion initiatives to support women’s empowerment, including access and rights to land. Ms. Arapova holds an M.A. in jurisprudence from Kyrgyz National University in Bishkek, and a diploma in economics from Alma-Ata University of National Economy in Kazakhstan.